If you live in the San Jose Area and looking for San Jose Chiropractor, Spectrum is here to help. We have been helping San Jose resident since 1997. Chiropractic adjustments are a highly refined skill acquired over years of intensive training. The technique involves the manual application of a controlled force into the spinal vertebrae that have become misaligned and hypo-mobile (limited in their range of motion). This procedure has been proven to correct vertebral misalignment, and this treatment is often accompanied by a clicking sound. While this sound might surprise first time chiropractic patients, it is merely the audible release of gas from within the spinal joints. If your pain has a musculoskeletal origin, our chiropractors have the experience necessary to distinguish the root cause of discomfort and treat it through a series of adjustments to help you find relief under normal conditions. At Spectrum Health Center, our experience is in finding the cause of this pain. Our focused, hands-on approach is intended on providing pain relief for most spinal subluxation conditions. At Spectrum Health Center, our thorough and efficient chiropractic care offers a personalized plan for your health. Although every human body has similar equipment, none are identical, and not all bodies feel the same type of pain relief. Nonetheless, our top priority is to help our patients experience pain relief for many of the conditions from which they are feeling pain. Chiropractic care is designed to target this pain and allow the body to heal through accurate adjustments to the central nervous system. In fact, most people feel good when pain is removed. At Spectrum Health Center, we are skilled in identifying spinal misalignments, the source of pain, and addressing it through a series of spinal adjustments with one goal in mind: pain relief. When stress is held in your body, it causes tension, and tension creates pain. Many are surprised to learn that this tension in the muscles and other areas of the musculoskeletal system is one cause of pushing the vertebrae out of alignment. Because the same body position or action that is causing the pain is being continually performed, the muscles learn this and continue even when a person is no longer performing this action. Our job at Spectrum Health Center is help your body “unlearn" these types of stress and tension patterns that have caused pain for so long. Think of the flickering light example. When a wire that is powering that light is running smoothly, unkinked, then the light is bright. If the wire is bent or contorted in anyway, the light may flicker. This is exactly what happened when the nerves are blocked or contorted. Just as the light likely flickers from the wire, pain is likely experience from blocked the nerves. At Spectrum Health Center, our all-natural approach to spinal adjustments offers a focused treatment plan for each person, and depending on your condition, our treatments have the potential of helping you stay away from surgery. 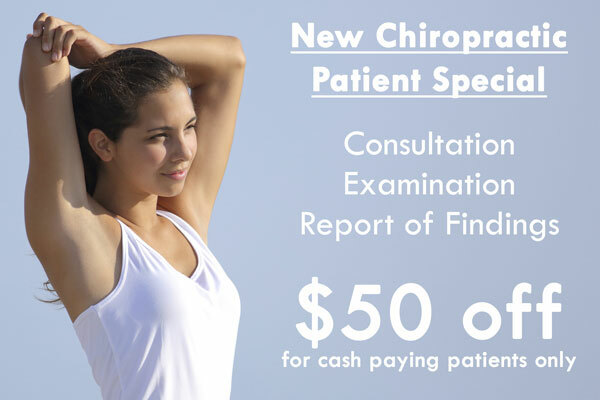 How Chiropractor Diagnose your Symptoms? Many times, subluxations are unnoticeable, but this does not mean that they are not causing damage to the body. Subluxation has been referred to as a silent threat. 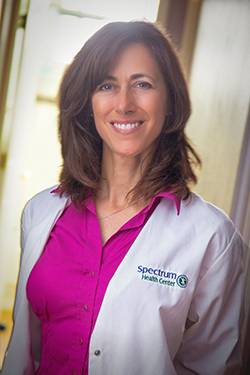 At Spectrum Health Center, we are skilled in identifying the subluxation—whether it is causing pain or not—and treating it potentially increase health conditions and energy transmissions. Chiropractic care aims its attention at using a focused adjustment. Most of our patients at Spectrum Health Center feel immediate relief after an adjustment. As the body holds its tension in certain ways, it may even guard itself from minor and major adjustments because that’s how it is comfortable even though it is misaligned. Hello, My name is Dr. Michelle Del Bene, D.C. and my goal is to help people suffering from chronic pain in San Jose improve their lives. I have been practicing my chiropractic treatment since 1997. With more than 22 years of my chiropractic experience, you can rest assure that you are in the right hands!